Our Egg Clensing Agents are available in two different products, Cleanser (3 Different Sizes) and Wipes (one size). Extremely effective and designed for egg washing. The unique blend of all natural enzymes attacks organic stains and protein residue for effective removal of contaminants. For years, producers have looked for an alternative to chlorine for cleaning. Now they have one. Usage/Treats: 1 oz. treats 15 gallons. Available in pint, liter and gallon sizes. Our wipes are gentle cleansers made to remove bacteria and soils from the egg after laying. The wipes are simple, easy to use for your egg-laying birds.The canister will clean up to 40 dozen eggs (depending upon the amount of soil on each). Simply wipe each egg until soil is all soil is removed. Dry with a clean towel and refrigerate. 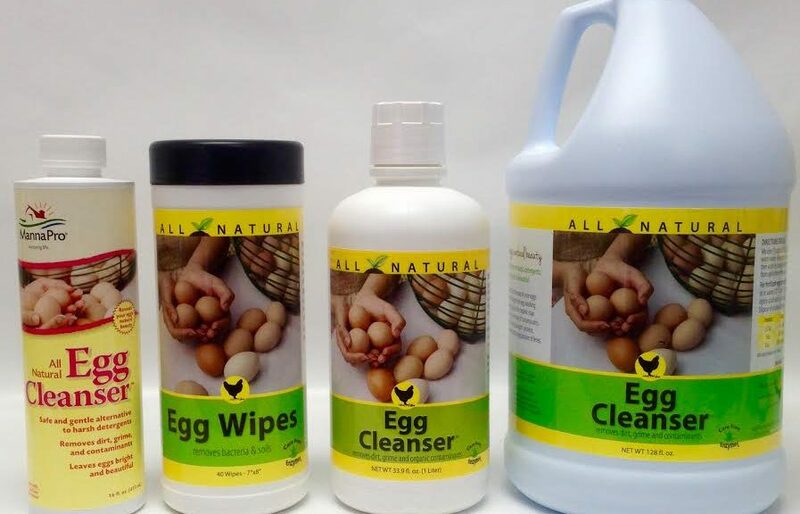 This will allow for the natural enzymes to combat and eliminate all bacteria left on the egg-naturally, without chemicals!